India is a land of cultural and religious diversity – various religions and cultures have co-existed here since centuries. Each of these religions has their own festivals and events which are celebrated with pomp and grandeur. Among the Hindus, Durga Puja is a major religious festival dedicated to the worship of Goddess Durga, an avatar of Goddess Parvati. Celebrated every year with pomp and glory, typically during the months of September – October, it is a hugely anticipated festival, primarily celebrating the victory of good over evil – Goddess Durga’s slaying of Mahishasura, the demon king. Apart from that, the festival also celebrates the motherly aspect of the Goddess – the process of life and creation. 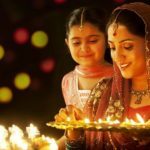 Alike the previous years with the beginning of autumn season in India this year also people can be seen gearing up for Durgotsav 2018. 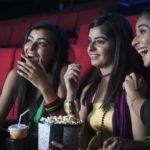 The craze of people can be well-mirrored from the fact that they start preparing for Durga puja festival much before the festival has started. The Puja is celebrated based on the anecdote of the defeat of the demon Mahishasura by Goddess Durga. It is said that Mahishasura had a special boon rendering him possible to kill him. With that protection, he had been disrupting peaceful activities all over the universe. Terrified of his nuisance, the goddess Shakti was created by a merger of the powers of all the gods. Durga is considered to be the embodiment of power and grace and delivers justice to all her devotees. Shakti fought with the demon Mahishasura and stabbed her trident into his heart. The cosmos rejoiced at her victory and celebrated Durga puja in honor of her feet. Durga puja in Kolkata is famous throughout India and the world for the kind of celebration the city offers to its public. People from all over the world come to view the spectacular marvel of the Kolkata puja. The pomp and festivities kickoff more than a month prior to the event. Illustrious artists from all over the country are invited to forge the idols. The puja committees congregate several times before the puja for effective planning. 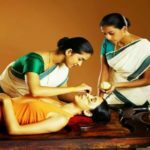 The “Chanda” or revenue for the puja is collected from the people of the locality as well as any organization wishing to contribute. The zeal of the festivities of Durga puja in Kolkata renders benevolent contributions of devotees and sponsorships from eminent fraternities. The collection often crosses the crore mark for the larger Durga Pujas in Kolkata. A report in the Economic Times on 9th October 2013 reported that there would be occurring more than 3400 pujas in Kolkata alone and the donations were more than a few crores. The Department of Tourism had set up stalls at several pujas to showcase regional performances and spent around Rs. 20 lakhs in this initiative. Durga Puja is immensely popular in the eastern parts of India especially West Bengal, Odisha, Assam, Bihar, Tripura and a few other regions. Kolkata Durga Puja can even be considered as one of the biggest festivals of India. Even in Nepal, Durga Puja is celebrated where it is named as Dashain. The festivities are spread over multiple days – starting with Mahalaya, which is dedicated to the Goddess’s arrival. Over the course of the next few days, namely Shashthi, Shaptami, Ashtami and Navami, the Goddess is worshipped in her various forms and names. On the tenth and last day – Dashami, the idols of the Goddess along with her family are immersed in bodies of water. The entire festival is celebrated with lots of opulence and magnificence – majestic Durga Puja pandals being erected, along with idols of Goddess Durga and her family where they are worshipped with religious chants, aartis etc. People throng the pandals to offer obeisance to the Goddess as well as gather in large numbers for other social events such as shopping, feasting and other cultural events. The fervor and grandeur of Durga Puja has spread far and wide, with the festival being celebrated in various parts of the world, primarily by the Hindu community. In recent times, Durga Puja in Kolkata especially, has taken on a global aspect – tourists from abroad visit West Bengal during September – October, solely to witness the grand festivities in the city for the festival. Idols of massive range and scale are constructed with lavish pandals and arrangements. Durga Puja is concurrent with Navratri, another Hindu festival dedicated to the Mother Goddess, while Dashami coincides with Dussehra on the tenth day. Dussehra espouses the victory of good over evil – the victory of Lord Ram over Ravana, another demon king. The festivities consist of various religious events and ends with the effigy burning of Ravana. Widely celebrated with grace and grandeur, Durga Puja along with Dussehra, are two of the most highly revered festivals in the Indian festival calendar. The puja is a revered occasion for the worshippers. People come to the pandals early in the morning. Offerings of flowers and sweets are presented to the mother goddess. In the afternoon, prasad is offered to everybody who wishes to receive it. Mostly khichdi, vegetable sabjis, chutney and kheer, this luscious meal is considered to have been blessed by the mother and is eagerly devoured by all. The evening brings with it a spectacular sight of light spangles all over the city. The sound of the ‘Dhak’ and the bells of Aarti in every pandal and beckons everybody to participate in this auspicious offering to the goddess. Men and women dance to the beat of the “Dhak” with the “Dhuna” or coconut husk filled lamp. The devotees get deeply engrossed in the worship and the moods turn fervent. 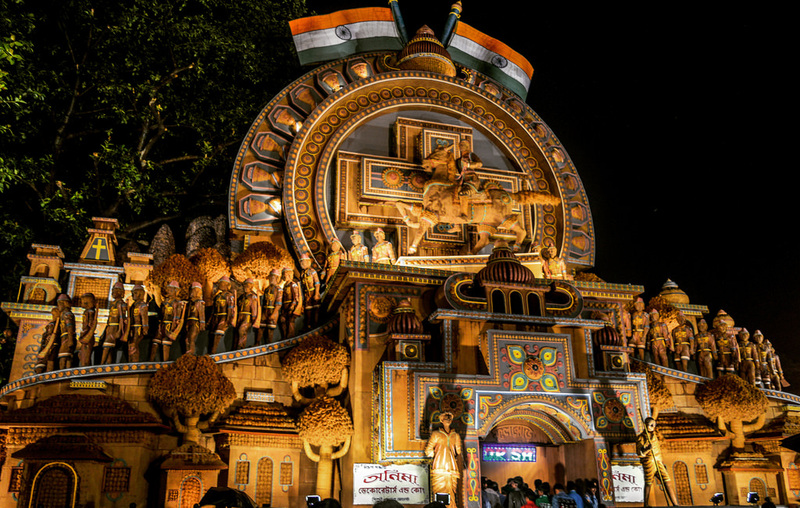 One of the most alluring practices during Durga Puja in Kolkata is “pandal” hopping. People go out in groups of friends and relatives, walking around the streets from one puja to another. Each pandal does its best in terms of decoration and show. The idols are created by talented artisans from all over the country. Some of the large scale organizers go all out and create huge and richly idols that are mesmerizing pieces of art. In fact, according to a report by NDTV Kolkata on 3rd October 2015, the tallest idol of the Devi in Kolkata cost Rs. 50 lakhs. Double that amount was spent on promotions of the event. Kolkata being a major city for the Durga puja celebration witnesses the most unique and glorious Durga puja pandals every year. According to youtube report, Kolkata has already geared up for Durga puja 2018. ‘Kumartuli’ in Kolkata which is famous as Asia’s largest place where thousands of Durga idols are made every year, has already started putting colors to the clay idols. Each and every pandal in Kolkata Durga puja tries their best to compete with each other. According to another report this year there will be some themed pandals describing- the uses of the internet, benefits of blood donation etc. One Durga puja pandal in Kolkata this year will be decorated as a small china town which will be sponsored by China government. From this, it has been assumed that the West Bengal government is looking forward to having a good relationship with China. Mantra which protect us from all manner of negative influences. Mantra for acquiring intelligence, beauty and prosperity. It helps in the realisation of self. Mantra for acquiring salvation and to get success in all areas of life. Scientifically if a person chants all these mantras by understanding the meaning then it helps to control our mind which controls our body. It helps to realize our consciousness and guide us on the right path to do the righteous job on a rightful manner. These mantras are the guiding principles of our lives which lead to salvation or in other word success. The streets become filled with stalls and vendors selling mouth watering delicacies. The sweet and savory Jalebis are the classic Durga puja sweet treat all over India. People say that there is something very special about Jalebis sold during Durga Puja. They taste best during this time of the year! 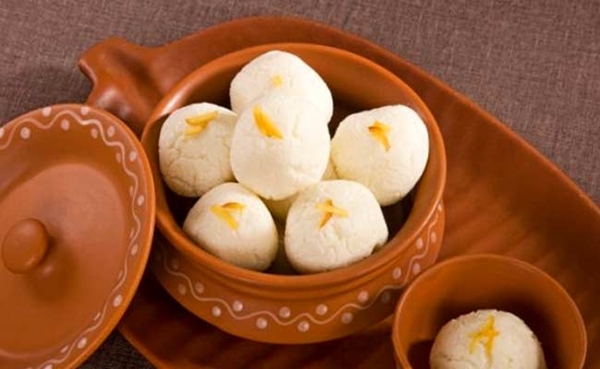 Other sweet savories like roshogolla, Gulab Jamun, sandesh, chamcham etc are also available. To tickle your spice buds, there are the mouth-watering pakodas, chaats and fries. An assortment of colorful drinks is also sold that are very popular among kids. Children can be seen tagging along with their parents with balloons and toy pistols in their hands. Such a colorful festival cannot be fully accounted for without the mention of fashion and accessories. The shops sell clothes and jewellery based on the latest trends. People, especially the womenfolk peg the markets regularly to get their hands on the most beautiful pieces of attire. The boutiques in Kolkata also become full of customers due to their exclusive one-piece only policies. The items on display are commendable and cater to the desire of every customer. People save money the entire year especially to splurge on Durga puja shopping. A colorful and diverse country, India celebrates a rout of festivals throughout the year. Both religious and otherwise, the fetes incite an atmosphere of peace and solidarity among the masses. Durga puja is one of the largest religious festivals celebrated by Hindus in India as well as abroad. Taking place in the Indian month of Sharad, this puja is an extremely revered and anticipated event. It celebrates the triumph of good over evil and injustice. This auspicious occasion of Durga puja brings everybody closer together. Love and happiness are in full bloom as all people come out to pay their respects to the mother goddess.